providers Can Play a Key Role in Fighting Tobacco Use. The number one cause of preventable death and disease in the United States is tobacco use. 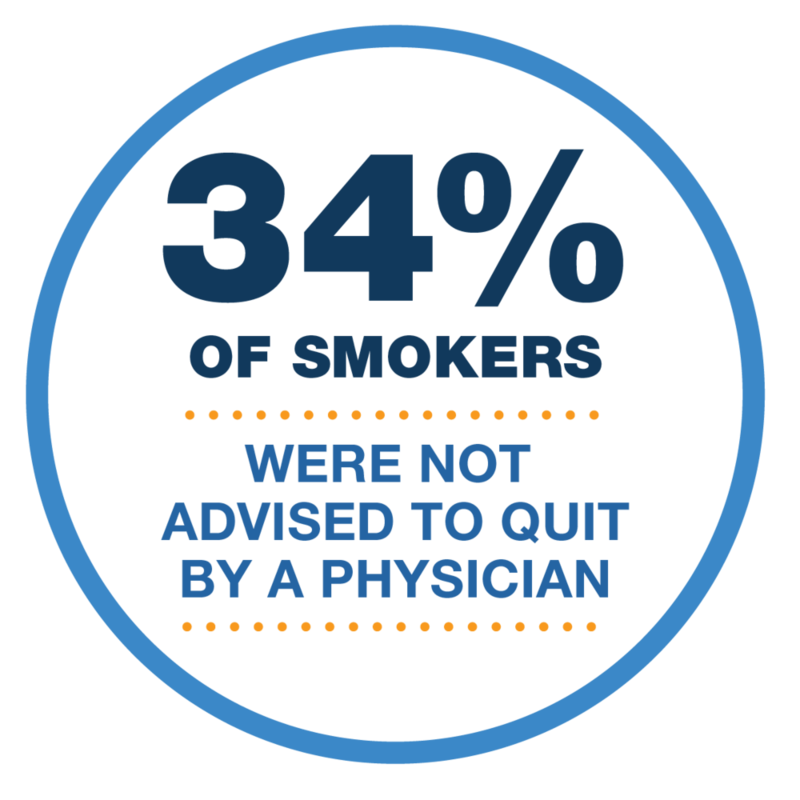 No matter what your specialty is, you know the drastic effects that tobacco use can have on patients. Many tobacco users want to quit. Getting started often takes support and motivation from a trusted source. If a physician advises a patient to quit just one time, it helps to double their chance for success. Patients trust their health provider and they need guidance. It is vital to help the patients who are ready to quit tobacco. Primary care providers can make a difference in influencing tobacco use behavior. A short intervention (three minutes or less) can increase a person's motivation to quit. Talk and listen to the patient about tobacco use. Asking about 1.800.Quit.Now can be a conversation starter. The Indiana Quitline is a free phone-based counseling service that helps Indiana tobacco users quit. The Indiana Quitline has highly trained quit coaches in cognitive behavioral therapy and experience at helping patients live tobacco-free. Professional quit coaches have 240 hours of training, prior experience in counseling and many are former smokers. Ask if your patient uses tobacco. Ask what kind of tobacco is used and how often. used any type of tobacco. Advise every tobacco user to quit. Quitting is the best decision. Advise those who weren’t successful with their previous quit attempts to try again. Employ a teachable moment: link health findings with advice. Quitting will help the patient and the health of their family. E-referral if your health system is setup. consent as required by HIPAA. Fax forms to: 1-800-483-3114. The Indiana Tobacco Quitline will fax a follow-up report back to your office. Meta-analysis of 13 studies shows 56% increase in quit rates when compared with self-help (Stead et al. 2004). Surveys have indicated that smokers are several times more likely to use Quitline than they are to use a face-to-face program (McAfee et al. 1998, Zhu & Anderson 2000).